SlingCatcher SC100-100 Universal Media Player for TV for $229.41 (on Amazon) from Andy Ihnatko. Slingbox for $139.95 (on Amazon) from Andy Ihnatko. 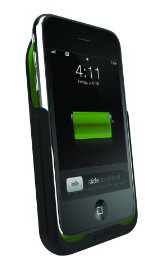 Mophie Juice Pack 3G (Black/Green) for $99 (on Amazon) from Alex Lindsy. Boxee at http://www.boxee.tv for free (in beta) from Fred Johnson. Ã?â? ?Ã?Â BackBlaze at https://www.backblaze.com for $5/month from Ron Brinkmann. Lincoln on Leadership: Executive Strategies for Tough Times from Alex Lindsy.